FoxyCart is a fully customizable e-commerce platform built for web developers and designers to create powerful, yet easy-to-use online shopping carts. Foxycart meets the needs of advanced developers but is also suitable for first timers with basic HTML knowledge. The platform’s flexibility is its most highlighted feature where users can create unique store, cart and checkout designs that fit in perfectly with their business model. FoxyCart is not an all-in-one system with integrated CMS and marketing systems. Rather, it was built to offer merchants the fastest checkout flow available for a quick and easy shopping experience. It is built-to-integrate and can even be added with just a link or form. More advanced users can also use their preferred tools, whether it’s HTML, CMS or a custom framework. PCI compliance is a big deal for FoxyCart (a registered Visa CISP Provider). They make sure that merchants and customers have the security they need during every sales transaction whether it's physical goods, e-goods, subscriptions or donations. FoxyCart has support for over 70 payment gateways and different payment options including PayPal. Users can configure shipping and taxes based on the customer’s location and offer special rates based on weight or product. With FoxyCart users can also create coupons, discounts and allow their customers to checkout with a purchase order number. There are currently no reviews of FoxyCart. For users which have specific needs like custom TOS, support, SLA, failover, functionality, or high volume processing. There are no limitations on the types or categories of products merchants can sell online with FoxyCart, whether they are physical products or e-goods, by color or size, subscription based, and even donations. Users can style their cart, checkout and receipts to match their website perfectly, and also add custom fields, content and functionality. Merchants can create customized coupons and discounts for their customers, and checkout can be done through multiple alternate payment methods such as Amazon Payments, Bitcoin and more. FoxyCart can be used worldwide using multiple languages that can be chosen from a list of translations and customers can ship products to multiple recipients and addresses. With Foxycart, information is safe with FoxyCart’s secure environment as a Level 1 Service Provider, the highest level of PCI compliance and certification. Below are some frequently asked questions for FoxyCart. Q. What type of pricing plans does FoxyCart offer? Q. Who are the typical users of FoxyCart? Q. What languages does FoxyCart support? Q. 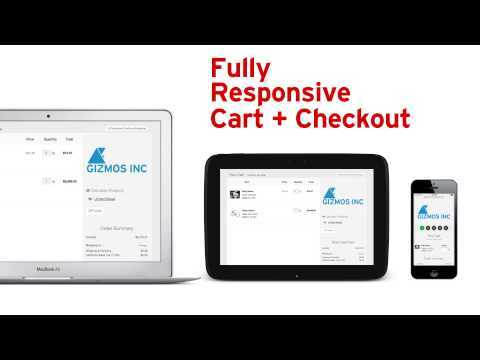 Does FoxyCart support mobile devices? Q. Does FoxyCart offer an API? No, FoxyCart does not have an API available. Q. What other apps does FoxyCart integrate with? Q. What level of support does FoxyCart offer? Q. Which apps is FoxyCart compared to most often?